After realizing that I know little no portion control when it comes to cereal, my go-to quick lunch (sometimes 2 slices and always with a mug of green tea) has also become my go-to late night snack (sans tea). 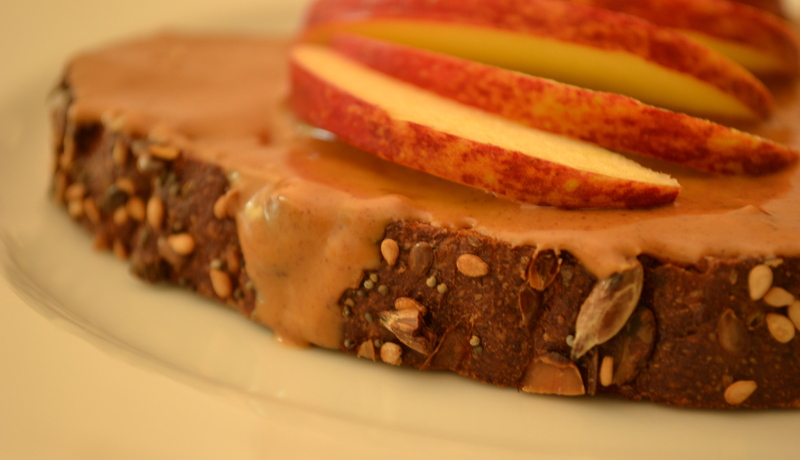 Almond butter on multi-grain toast topped with sliced apples: simple, fast, and yummy. Oh, I forgot “healthy.” Let me try that again. HEALTHY, simple, fast, and yummy. 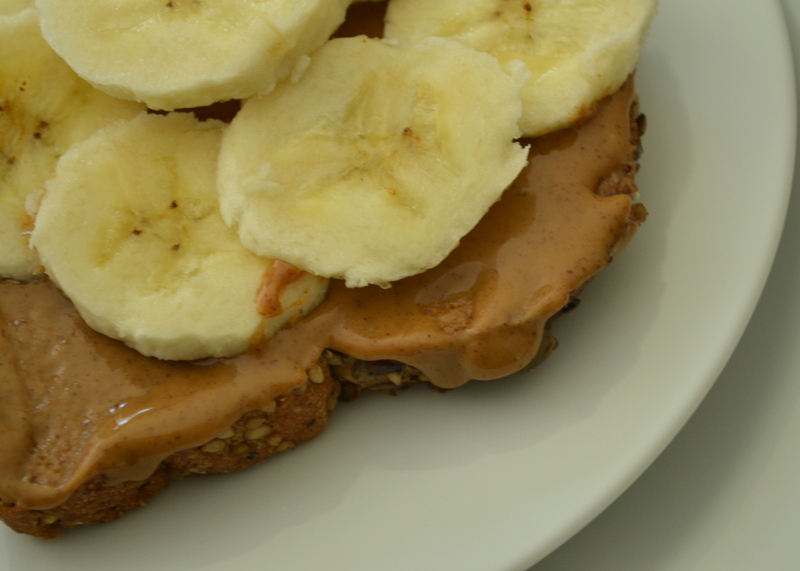 Swapping apples for bananas elevates the classic childhood fave. Mmmmmm.